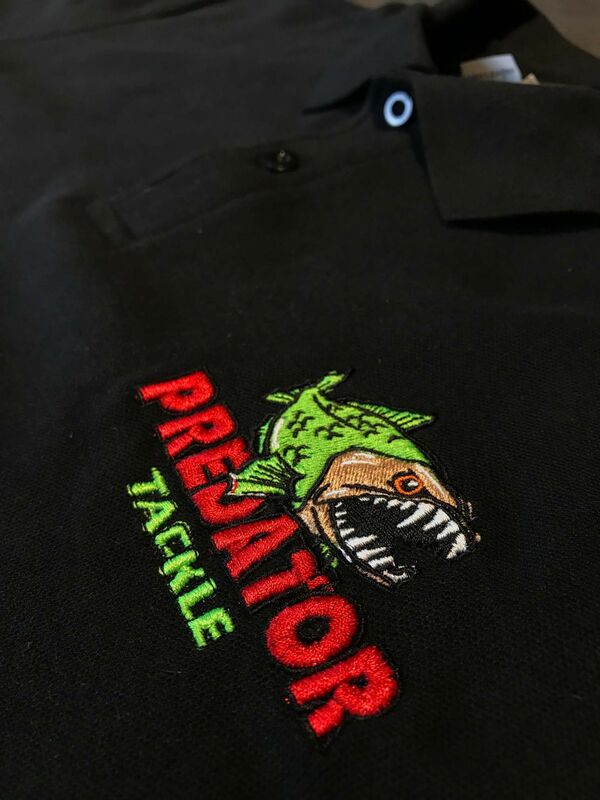 Predator Tackle Polo Shirts, Predator Tackle are pleased to offer its very own clothing range, these stylish black polo tops are great fitting and really suit all ages. Left breast pocket has a 90mm Predator Tackle logo and on the back the Green Gunki Skull coupled with www.PredatorTackle.co.uk wording in brilliant green. All Polos are a Sleek Euro fit in shoulder and sleeve with 2 button open collar. S 34/36" M 38/40" L 42/44" XL 46" 2XL 48" chests. 100% Ringspun cotton. Ringspun Sport Grey: 90% Cotton, 10% Polyester - Wash at a max of 40 degrees, can be tumble dried at a low heat.